Most naturally occurring folate derivatives in foods are highly sensitive to temperature, oxygen, and light, and their functionality is affected by food processing. Their stability is also pH dependant. Further alternative strategies to fortify and increase the level of folates through starter culture selection, combination, metabolic bioengineering as well as improved storage and cooking methods have failed to yield high enough dietary folates. The enrichment of flour as a nutritional intervention programme to try and correct problems of folic acid deficiency such as neural tube defects has been put in place; it is the first attempt to design functional foods that could alleviate folate deficiency. Currently, mandatory fortification of grain and other foods with rich folates are in place. Clearly, the use of fortification has immense potential health benefits over the recent decades as advancements of science recognised the importance of this vitamin in alleviating a number of developmental and degenerative disorders. Folate is of great interest and of great clinical value, a veritable panacea among functional foods and nutraceuticals. A large number of health benefits are associated with regular folic acid consumption either in its natural form or supplements. 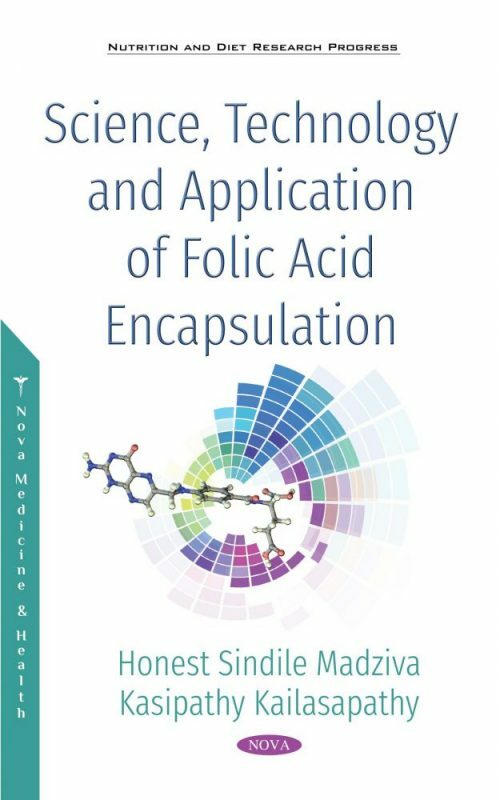 This book elaborates an alternative approach to protect and stabilise the bio-functionality of folic acid through a novel and robust microencapsulation technique. It contains comprehensive science and technology information on folic acid that describes how to protect it from natural plant sources during processing through novel encapsulation techniques and to produce innovative and smart foods and supplements. This book is suited for researchers in food and pharmaceutical industries and universities as well as for postgraduate research students in foods and supplements. This book is a suitable research and textbook for advanced vitamins, food supplements and nutraceuticals, and highly recommended for university and research institution.